This Blog was initiated by Barbara Captijn, a graduate of Queen’s and McGill Universities, a small business owner, former communications executive and language specialist. to provide impetus for consumer reforms to Tarion Warranty Corporation, Ontario’s mandatory new home warranty programme. For years consumer reform to Tarion has been in legislative limbo. MPP’s of all parties have urged greater accountability to the consumer, greater transparency, and a more level playing field in the handling of new home defect claims. The consumer point of view seems to be the least well understood, often mis-stated or stereotyped by lawmakers and Tarion executives, often to the consumer’s disadvantage. Ontario’s building industry, on the other hand, has large, well-funded and and politically-connected organizations to make their views understood, and give their interests priority. Consumers have very little time and financial resources at their disposal to influence politicians and reach policy-makers. Money, power, and being able to afford the most experienced lawyers, can often engineer legal outcomes in one’s favour. The consumer without financial resources for legal assistance is the most vulnerable party in courtroom situations (i.e. appeals from Tarion Warranty decisions). A government authority telling us it is “protecting new home buyers“, and “regulating the new home building industry“, while not being subject to scrutiny by an independent body, is basically telling us trust me, I have your best interests at heart, because I say so. There have been too many examples of regulatory agencies ending up protecting the industry they’re supposed to be regulating, instead of the public. Consumers have been the “canary in the gold mine”, warning of problems which need to be fixed, but these warnings have gone unheeded. But why should the homeowner pay for the builder’s wrong-doing? Many consumers who’ve had experience with Tarion have concluded reform is desperately needed to make Tarion fulfil its consumer protection mandate. Consumer organizations like “Canadians for Properly Built Homes” (CPBH), have been urging consumer reforms for years. But change has been glacial. There appears to be no political will to make real improvements for consumers. Perhaps the current government is reluctant to step on the long toes of the building industry, the job-creation and political donation Goliath? Click here to read the “Open Letter to the Premier of Ontario” written in March 2014 by the President of CPBH about much-needed reforms to Tarion. Problems are given lip service, window-dressing, “we’ll look into it“, the deck chairs re-arranged, and no meaningful improvements are made. The articles in this Blog are meant to be constructive, provide tips for reform, raise awareness for the consumer point of view, and urge reform to help the most vulnerable link in the chain – the consumer – the person this legislation was created to protect in the first place. The “Consumers’ Reform Tarion” Blog/Website is for discussion and informational purposes only. It is not intended to be advice. The articles written by Barbara Captijn are her opinions. Permission has been obtained by others whose information is posted on this site. The author is not paid to write or maintain this site: it is purely on a volunteer basis to make consumer perspectives better known and understood. The author assumes no responsibility for comments posted by outside parties on this site. 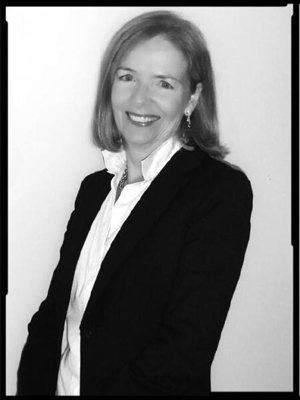 Barbara Captijn is a small business owner, a former public relations and advertising executive, and a specialist in foreign languages. She is a graduate of both Queen’s and McGill Universities, and additionally spent a year in the bilingual combined law degree programme at McGill. A former teacher of communications and languages, Ms.Captijn has also had international business experience, operating a small business in Europe for 12 years. She has a current interest in consumer protection issues in Ontario, and has been a keen observer of Tarion for over 4 years.